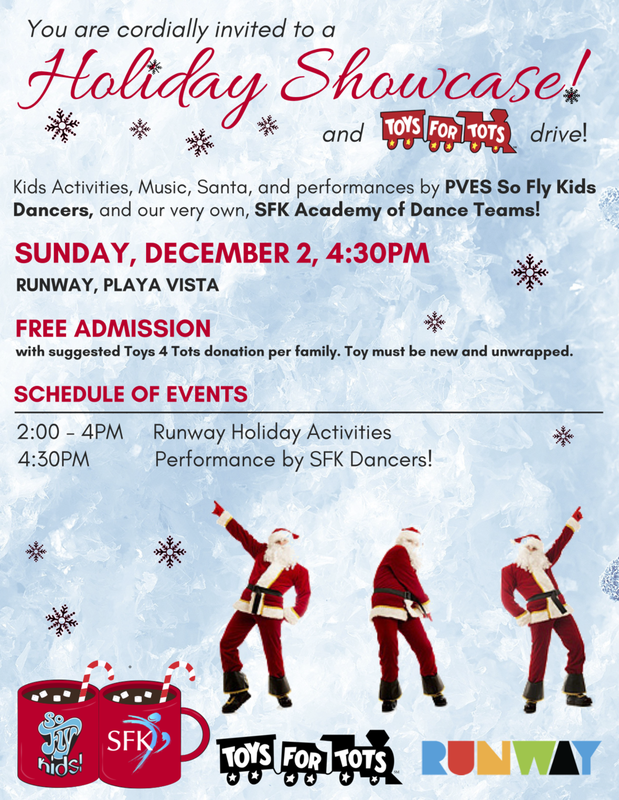 Kids Activities, Music and performances by PVES So Fly Kids Dancers and Runway Playa Vista’s very own SFK Academy of Dance Teams! Also, special visit by you know who…but it’s a surprise! FREE ADMISSION with suggested Toys 4 Tots donation per family. Toy must be new and unwrapped please.